Nigeria’s crude oil production rose by 70,000 barrels per day in the most of August reaching 1.87 million barrels per day from a July level of 1.8 million barrels per day global oil monitoring company Platts says in a survey just released. 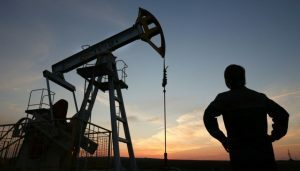 The survey also showed that the Organisation of Petroleum Exporting Countries (OPEC) also pumped 32.89 million barrels per day in the month, as the remaining 12 OPEC members with firm quotas achieved 115 percent compliance in August. Libya and Nigeria are still exempt from cuts, while Congo has yet to be given an allocation. Bowing to pressure from United States president Donald Trump to increase crude output, and fears of an over-tightening market due to US oil sanctions on Iran that go into effect in November, OPEC and its 10 allies agreed in June to reduce over compliance with their cuts and increase output by one million barrels per day. Libya added the most barrels in August within OPEC, as output recovered to 940,000 barrels per day with the lifting of force majeure in July on loadings from the country’s eastern ports. Also, Iraqi production swelled to 4.68 million barrels per day in August, up 110,000 barrels per day from July, as exports from both the country’s southern port of Basra increased. Saudi Arabia, OPEC’s biggest producer and the world’s largest crude exporter, also pumped 10.49 million barrels per day in August, the survey found. The August production was far above its quota of 10.06 million barrels per day under the supply cut agreement. Meanwhile, Iran and Venezuela suffered setbacks in crude outputs as Iranian production fell to 3.60 million barrels per day in the period under review, the lowest in more than two years, according to the survey. Oil exports from the country fell by 17 percent from July, as key buyers China and India significantly cut their purchases, data from Platts showed. Venezuela also continued its production decline, as output slumped to 1.22 million barrels per day in August, a year-on-year plunge of 680,000 barrels per day, the survey found. The country is undergoing an economic crisis that has impaired its ability to maintain its oil facilities, pay workers.